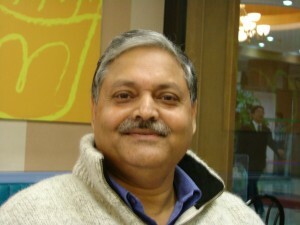 Rajiv Lochan, founder of Doke Tea, is a visionary. He is brimming with ideas for tea, the tea industry, the culture surrounding tea and endless possibilities of sharing the richness of tea with the world. On his Doke Tea Farm, he hosts small groups of students who come from all over world to learn how tea is grown and to have a hands-on experience on a tea farm. This is a total tea immersion experience, just as we might immerse ourselves in a single delicious cup of tea to enjoy its color, its aroma and its layers of flavor. Talking about tea with Rajiv is like being immersed in tea. It’s just as much about philosophy as it is about engineering and agricultural and ecology. His passion is to continue to explore the origins of tea in China, to experiment with teas in India, to create greater interest for tea in other countries, and to support the development of a tea culture in India that will be one of India’s great cultural gifts to the world.